These difficult economic times have inspired serious soul searching on the part of the policy makers. In the quest for the right formula for economic prosperity, analysts have been increasingly drawn to a comparison between two of the largest American states: Texas and California. While these two states share much in common, their policies could not be more different. After thirty years of divergent views, the analysts agree: Texas has chosen the better path. California and Texas were not always so different. Both earned their own independence as sovereign republics before joining the United States. Each is blessed with abundant natural resources and a robust population. Both cover a vast landmass with a wide variety of climates and growing seasons. Each was conscious of its role as a policy trailblazer and knew that its choices of governmental structure, tax rates, and regulatory regimes could become a model for the rest of the nation. In July, the London-based Economist magazine published an extensive comparison of these two models. In “California v. Texas: America’s Future”, The Economist detailed the pronounced differences between the two approaches. Despite inherent similarities, the policy choices of both Texas and California – set many years ago, and confirmed many times since – are stark opposites. Thirty years of punishing real life later, the fact is that that Texas model works. 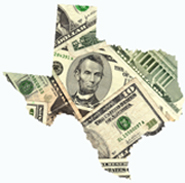 Texas chose low taxes, fiscal restraint, and regulatory reform. California emphasized a heavy dose of state spending to expand services combined with an increasingly complex regulatory structure. Texans believed that a free market would lead to economic prosperity, and that the resulting prosperity would benefit everyone. California believed that an activist government would centrally plan its way to supercharged economic growth – and increased state spending from $38.9 billion in 1993 to $102.9 billion in 2008. Sadly for the Bear Flag Republic, the music stopped for California in 2008 as the national recession resulted in unsustainable state budget deficits. “Indeed, high taxes, coupled with intrusive regulation of business and greenery taken to silly extremes, have gradually strangled what was once America’s most dynamic state economy,” wrote The Economist about California’s predicament. And this is from a magazine that has not been friendly to Texas or its exports. Low taxes, fiscal restraint, and regulatory reform have performed better on nearly every economic metric. California has wrestled with an enormous budget deficit – starting at $42.5 billion and now whittled down to still more than $8 billion – while Texas balanced its budget and maintained its rainy day fund in case the economic situation worsened. According to the Wall Street Journal, Texas is poised to bounce back quicker than other large states. Each year, 100,000 more people chose to leave California than move there. Texas is the opposite: the net inflow of population was 150,000 in the same period. So many people are “voting with their feet” that it costs nearly three times more to rent a moving van from Los Angeles to Austin than it does in the other direction. More Fortune 500 firms are based in Texas than any other state, and more come every year. Seventy percent of all new jobs in America last year were created in Texas. In June, California’s unemployment rate was 11.6%, while Texas had only risen to 7.5%. On nearly every published economic indicator, Texas comes out ahead. Statistics by themselves only tell part of the story. Let’s state the policy difference in human terms: if Texas had followed California’s lead, nearly 500,000 more Texans would be out of a job right now. It is worth noting that The Economist profile criticized the Texas educational system. While some of their points were inaccurate, a widely educated citizenry is crucial to any fair and successful society. California has historically led Texas in some respects, but that gap is narrowing. Take, for example, the different roles that the states have played in research and development. Houston’s Johnson Space Center is the operational and managerial hub for NASA, but the Mars rover vehicle was designed and built in California at the Jet Propulsion Laboratory and the California Institute of Technology (Caltech). In an inexplicable adoption of free-market principles, California has not interfered with a remarkably effective partnership between research universities like Stanford and the private-sector venture capital industry. There are areas in which Texas can and will improve, but the fundamentals of our model are sound. While Texas isn’t perfect, there are lessons here that can become a roadmap for guiding the nation out of its current economic distress. More importantly, prudent policy makers need to change course before an even worse outcome is realized. Let’s not “double down” on the wrongheaded economics of the California model with excessive spending and huge budget deficits at the national level.